Bowling Green, KY – Local homeschool basketball organization, the Western Kentucky Trailblazers, had five teams participating at the National Christian Homeschool Basketball Championship (NCHBC) earlier this week in Springfield, Missouri, where they competed with 350 other teams in this year's tournament. 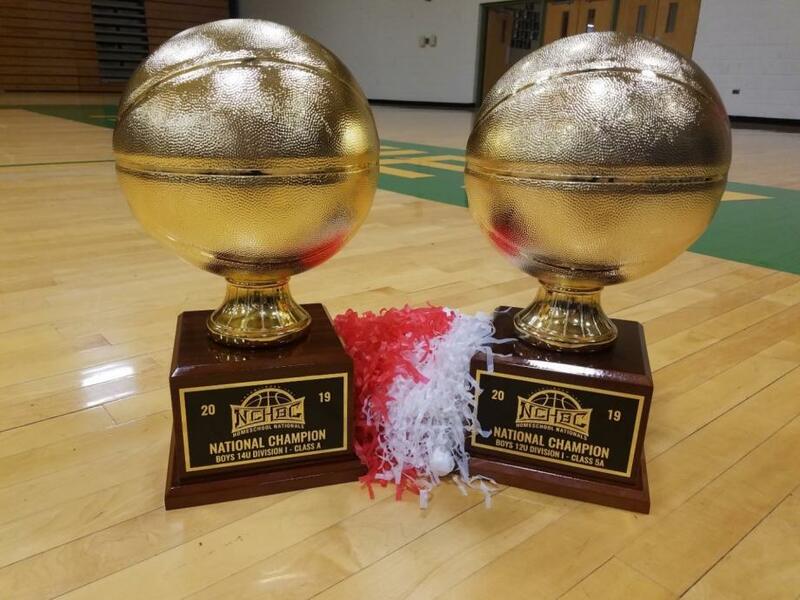 Two of the Trailblazers' teams advanced to the Gold Ball games for the first time ever, both winning in their respective divisions. The Boys 14U team won the Division I 1A National Championship, and the Boys 12U team won the Division I 5A National Championship. The Boys 12U team went on to defeat the Class 7A MHEA Eagles from Memphis, Tennessee to secure their spot as this year's Undisputed National Championship winners. This marks the first time that the Barren River Homeschool Association has brought home a National Championship title to Western Kentucky. The National Christian Homeschool Basketball Championship was founded in 1991, with the first ever tournament occurring in San Antonio, Texas in 1992. The tournament itself has been the largest home school sporting event for 26 consecutive years, providing home schooled student-athletes from across the United States with a place to share their passion for basketball while honoring the Lord Jesus Christ. The Trailblazers organization is a group of Barren River Home School Association members seeking to provide opportunities for students to participate in competitive sports. BRHSA exists, first, to honor the Lord Jesus Christ by providing a Biblical atmosphere in which to nurture our children and, second, to serve, support, and connect home schooling families in and around the South Central Kentucky area. The Trailblazers are proud members of the Midsouth Homeschool Athletic Conference. MHAC promotes participation and sportsmanship in developing good citizens through interscholastic athletics, which provide equitable opportunities, positive recognition and learning experiences to student athletes while achieving their educational goals. For more information about the Western Kentucky Trailblazers, you may contact them at (888) 792-6049 or visit www.wkytrailblazers.com. To stay up-to-date on events related to the National Christian Homeschool Basketball Championship, follow them on Facebook (https://www.facebook.com/HomeSchoolBasketball) or Twitter (https://twitter.com/NCHBCLive).